My father-in-law has a good friend who is starting a maple syrup business. He wanted to give him a small piece of artwork to commemorate the start. 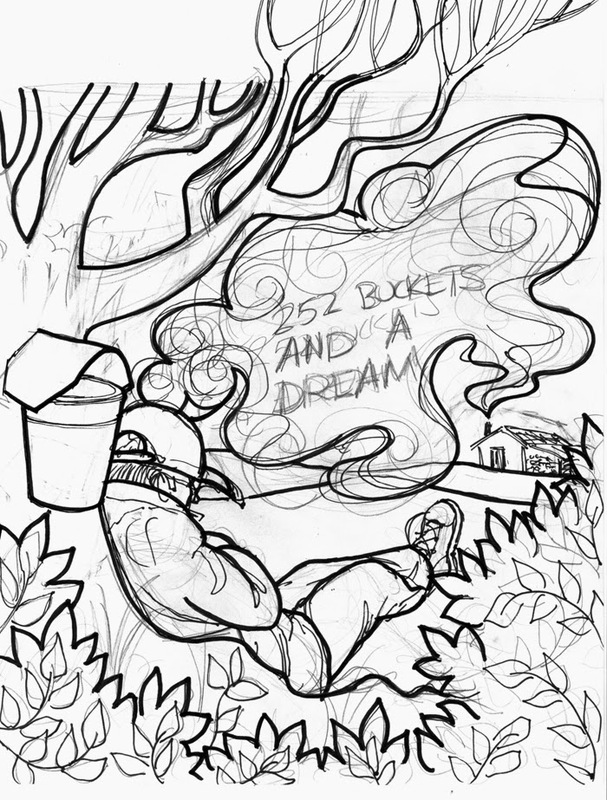 Ashley (my wife) sketched out a great idea/layout and I added some hatching and cross-hatching to tone it out a bit. 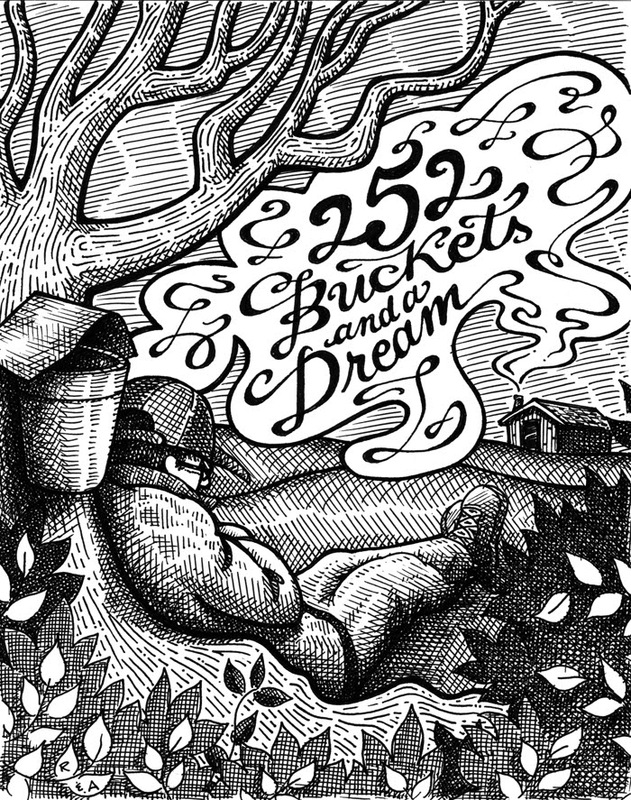 Throw down some script type for the "252 Buckets and a Dream" and it is done.